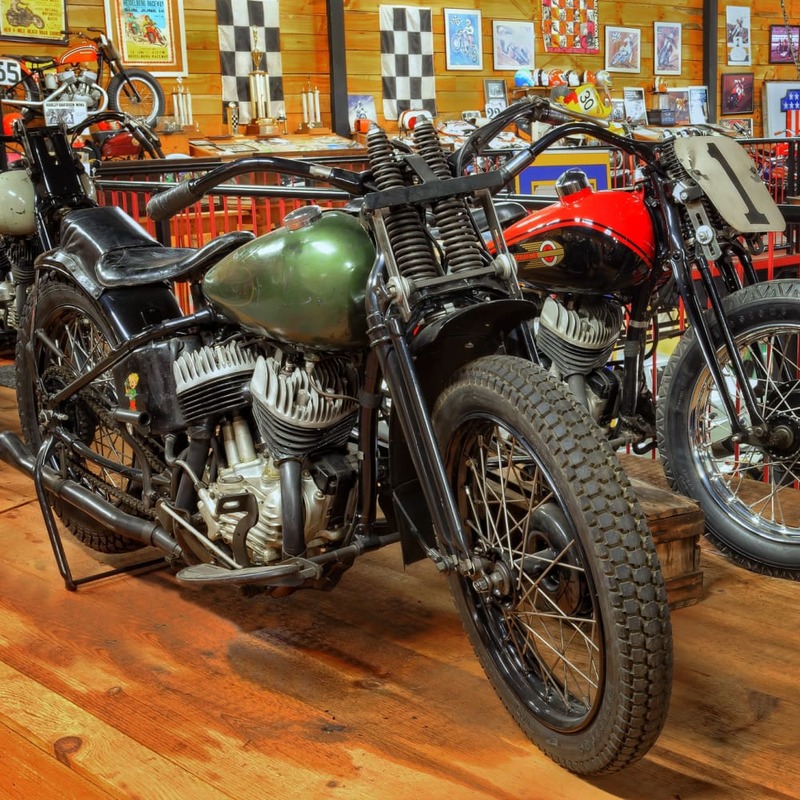 Among the 1936 Harley Davidsons on display at Wheels Through Time, is the unique pair of pairs. 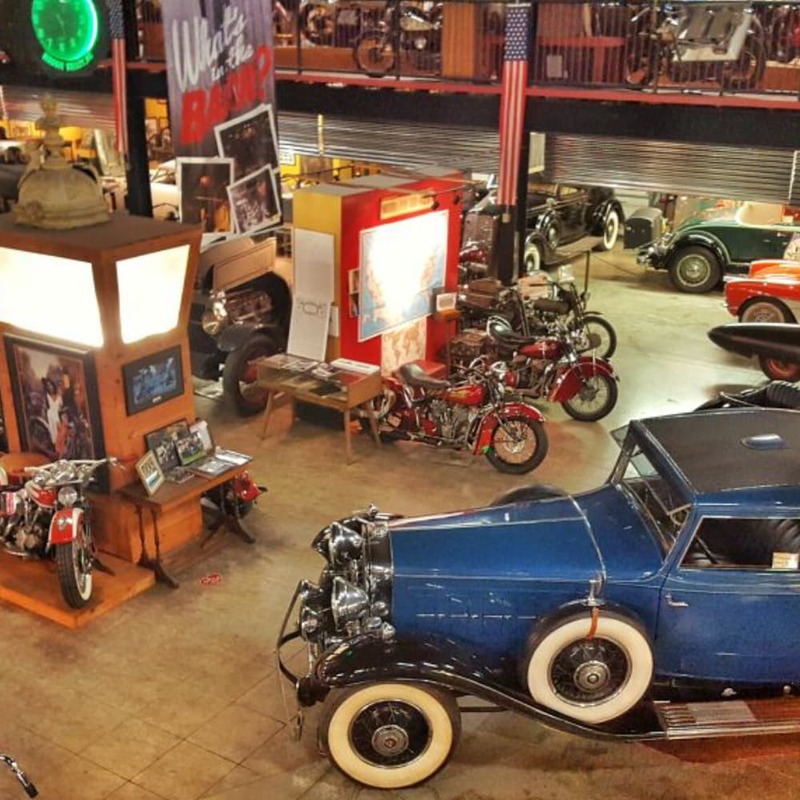 Willie G. Davidson and his wife Nancy have been to the Wheels Through Time museum 3 times and this 1936/1937 Exhibit is their favorite place here. In this space, Style and Function are intertwined with a design template that would carry the motor company into the next century. Not only was the chassis redesigned with streamline fuel tanks and an integrated dashboard, but the new heavyweight V-Twin also offered a standard 4 speed constant mesh transmission. The big news was the new 61 cubic inch over head valve engine that utilized a newly developed dry sump oil system. 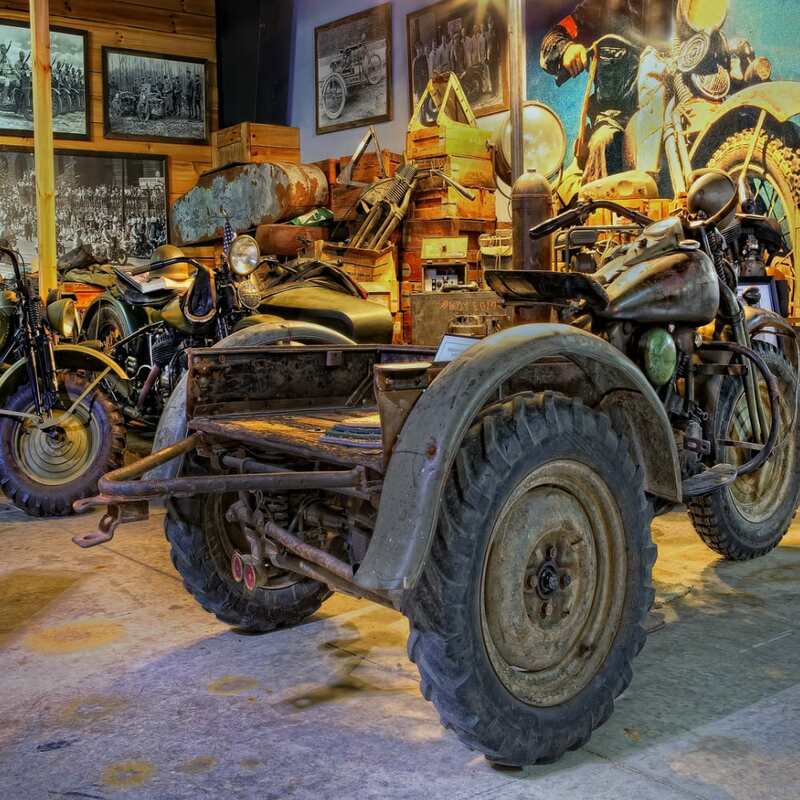 This was the first Harley that recirculated the engine oil to and from the oil tank. It was given the model designation EL. 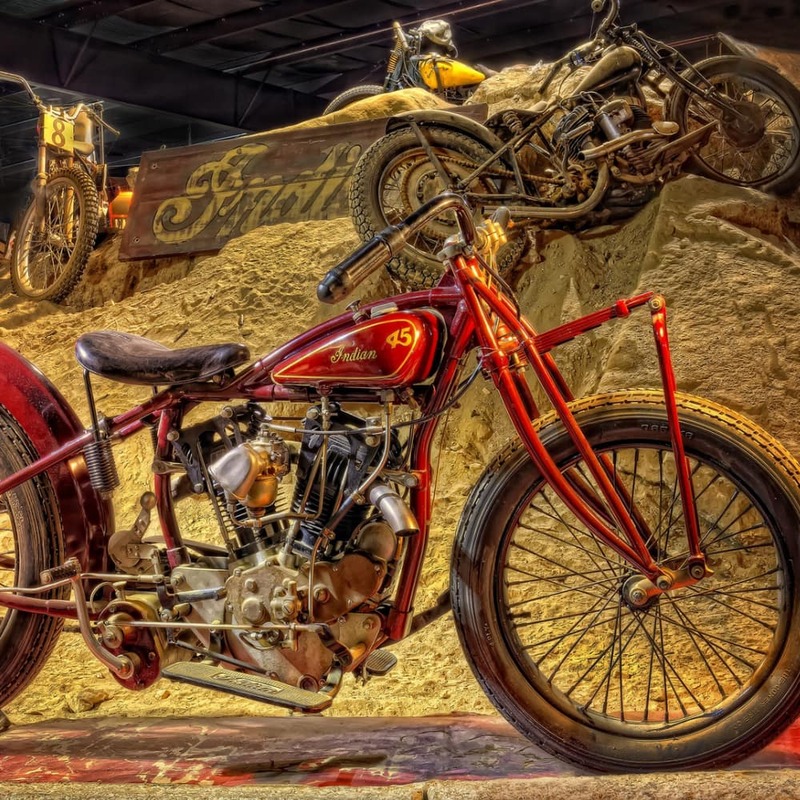 It has been affectionately called the Knucklehead since its inception in 1936. In 1937 Harley’s outdated side valve engine was redesigned incorporating a recirculating oil system. Redesigned crankcases allowed the side valve to fit the same chassis as the OHV machine streamlining cost and production time. Now, Harley had the market covered with the newest designs. The man who led the design of both the Knucklehead and the improved Side Valve engine was chief engineer William S Harley. William was one of the 4 founding fathers of the Company. He had spearheaded the development of their machines along with Willian Ottaway who joined the motor company in 1913. 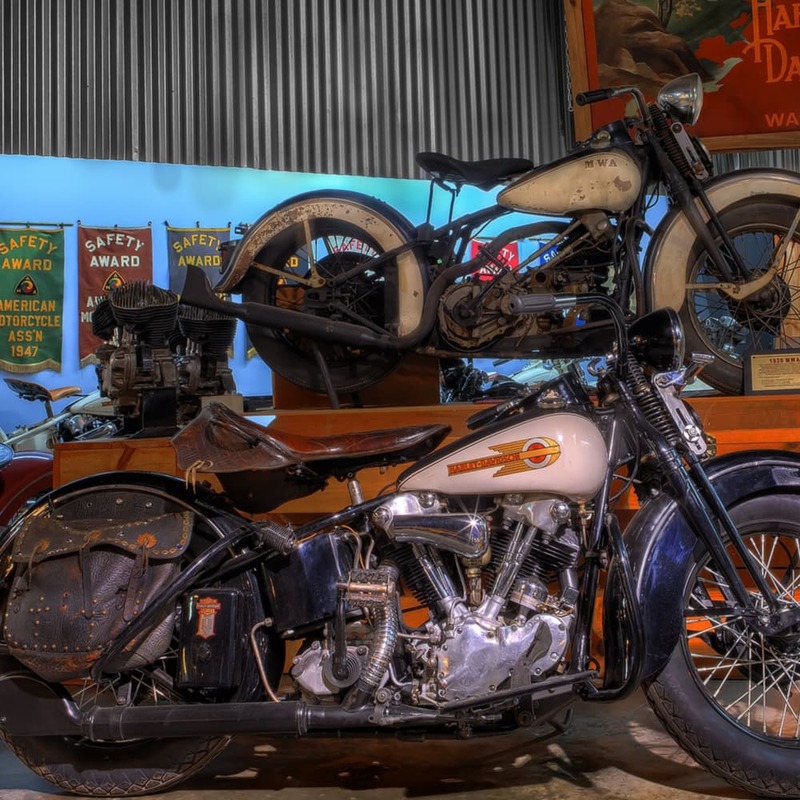 William Harley did see the success of his new design before he passed in 1937. 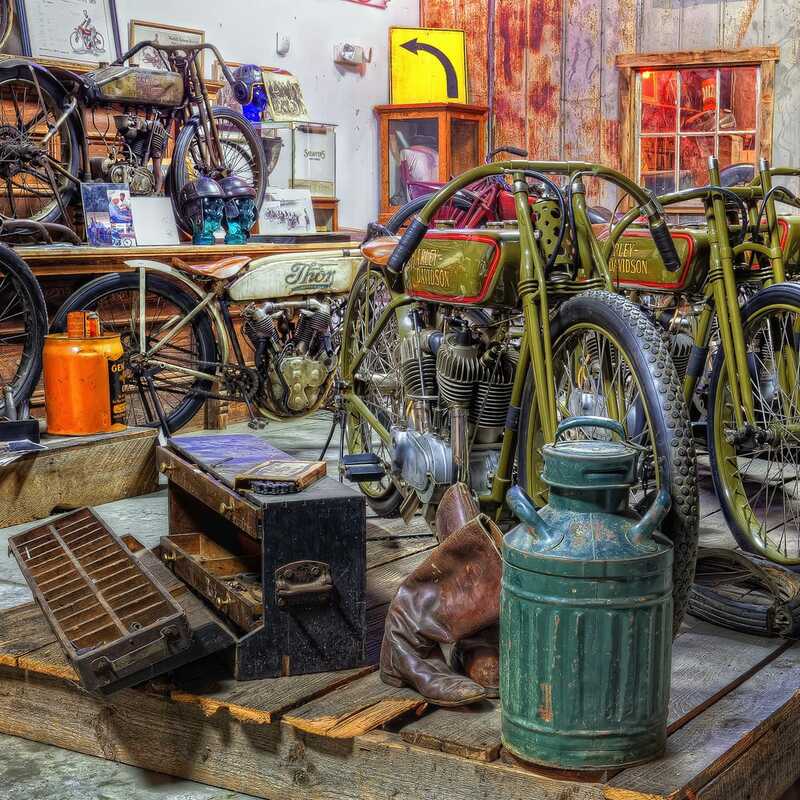 In 1936 approximately 2300 OHV machines were produced. Quite a remarkable number considering each machine went down a primitive assembly line and were certainly “hand built”. Although the early production machines experienced various oiling problems, its potential was immediately realized on street and track. Joe Petrali who was Harley’s lead tuner/ racer/tester and promotional rider set a record of over 136 miles per hour on the sand in Daytona on a modified streamlined built in the Harley racing department. The new OHV was also successful in both enduro races and hillclimbing. The success on the track proved successful in the sales department which gave the Indian company great concern. 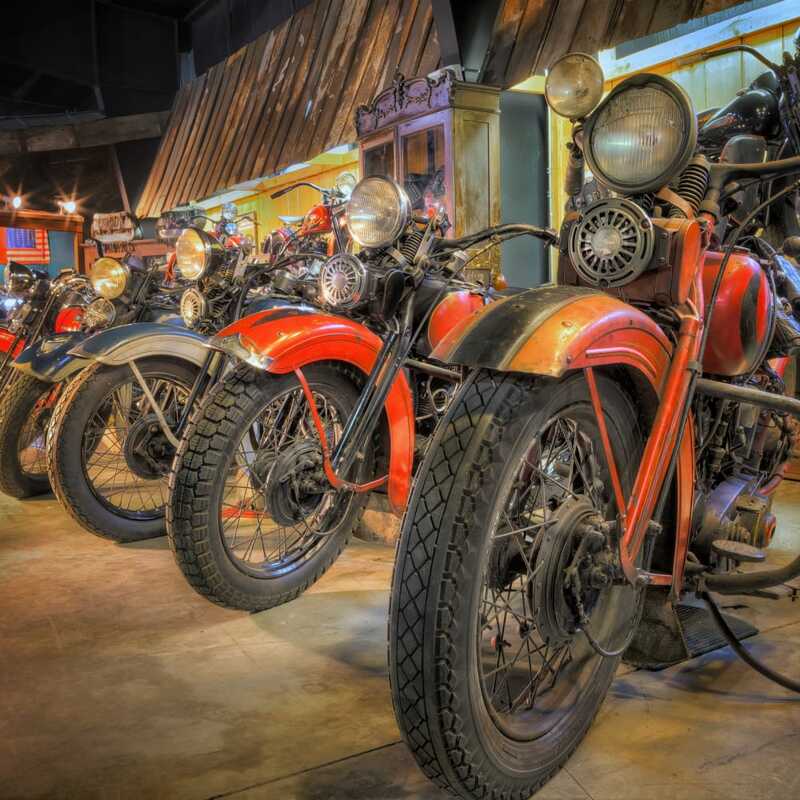 The Knucklehead design remained reliable and successful until it was replaced 11 years later with the new alloy head V-Twin called the Panhead in 1948. 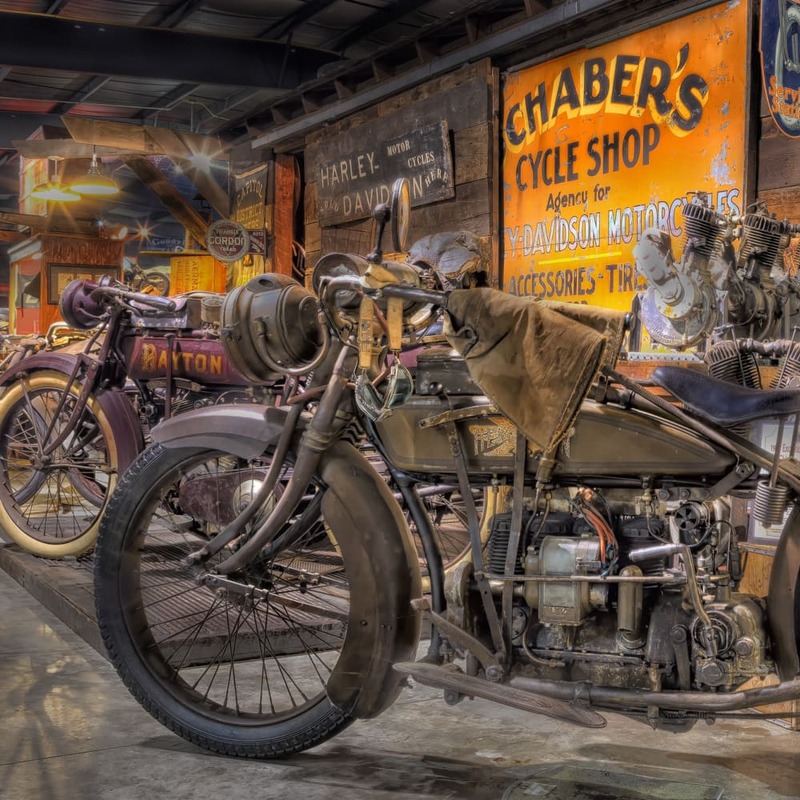 It is difficult to determine how many of these machines survived, however 6 examples of the 1936 OHV, 2 examples of the 1937 Side Valves and 3 1936 Prototype Side Valves grace this exhibit. Each machine has a great story that could make a best selling book! In white, 1936 Knucklehead and Flathead Eighty Prototype UX6. Serial number 36EL1850. 1936 Knucklehead Serial Number 36EL2391. This was a unique Harley Davidson custom color; Gold and Black.